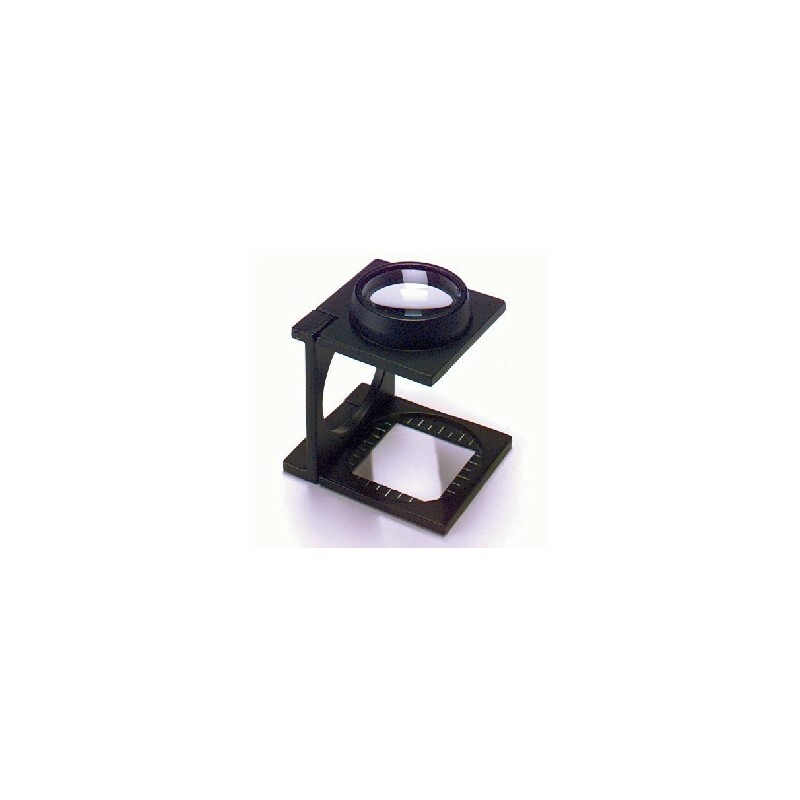 The 6X TWIN LENS FOLDING MAGNIFIER's twin lenses yield a clear, distortion-free image. Inch/mm scale at base of magnifier. Deluxe leatherette case w/snap-lock closure. Optical glass lenses. Metal frame. 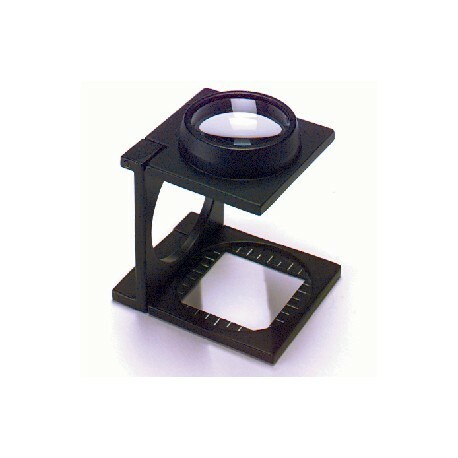 Lens diameter: 1-1/8". Viewing area: 1" x 1".